Most of the forests in Massachusetts are privately owned. The decisions these private landowners make have a significant influence on the public benefits that our forests provide, however, landowners aren’t always sure what types of natural resources are on their land. This spring semester, the “Natural Resources Inventory of Local Lands” class developed natural resource inventories for portions of the 800 acre Eaglebrook School in Deerfield. The goal of the inventories was to give Eaglebrook the information they need to make informed conservation decisions and to better incorporate the woods into their curriculum. Working in interdisciplinary teams, students designed and implemented natural resource inventories to gather data on wildlife habitat, hydrological features, forest vegetation, land use history, recreational trails, invasive species, and vernal pools. Students collected and analyzed data, interpreted results, created GIS maps, and produced a professional report for each of these communities. In addition, students presented their findings at a meeting of science faculty and students, answering questions and helping the Eaglebrook faculty gain a better understanding of the natural resources of their land and how they can use them as teaching tools. 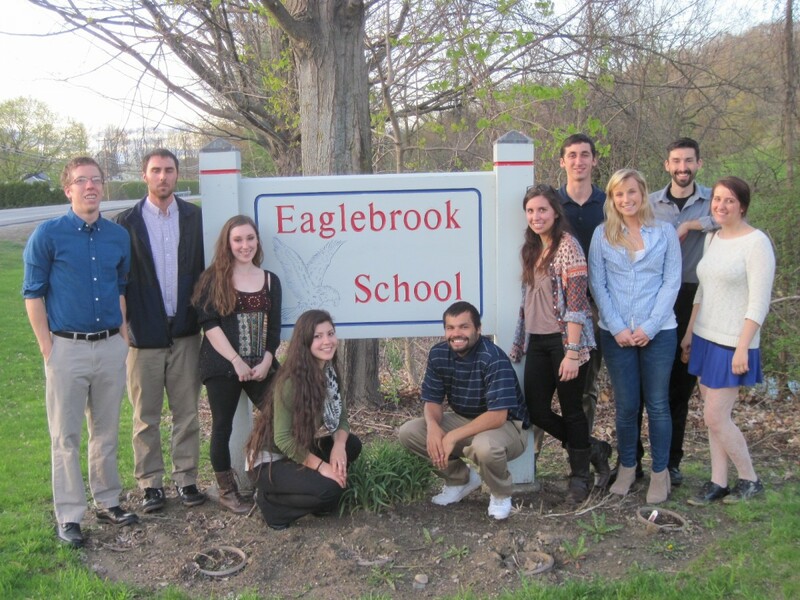 Not only were the students able to put into practice the theories and techniques they have been taught, but they have made an important conservation impact by informing the decisions of Eaglebrook and inspiring them to use their resources to teach the next generation of conservationists!